Happy Monday everyone! That weekend went by waaaaaay to fast! This is a post that I debated on for awhile about writing, but thought it might be helpful to some. We are coming into the home stretch of the school year, and with Kindergarten on the horizon we've been involved in a lot of prep already for next year. Cute is beyond excited about all things Kindergarten, and can not wait to go to "big kid school", ride the school bus, and play on the "really really big kid playground". I love his enthusiasm for what is to come later this year. In December, we had a meeting with Cute's pre-K teacher and discovered that he is lacking severely in his fine motor skills compared to his peers in some areas - handwriting being the biggest issue. Sadly, Cute became so discouraged and frustrated that at one point he flat out refused to even write the first letter of his name. After speaking with several professionals, and getting Cute the help we felt like he needed, we finally turned a corner. We've worked extremely hard on catching up these last few months, and we are so proud of him and the progress he has made. It reflects in his attitude as well. He still has a little road ahead of him, but I also recognize he is young and enthusiastic about school, and want to keep that great positive attitude up. At home I've found a few fun practice things that have helped him, and thought I would share my favorites with you in case you find your little one in a similar situation. 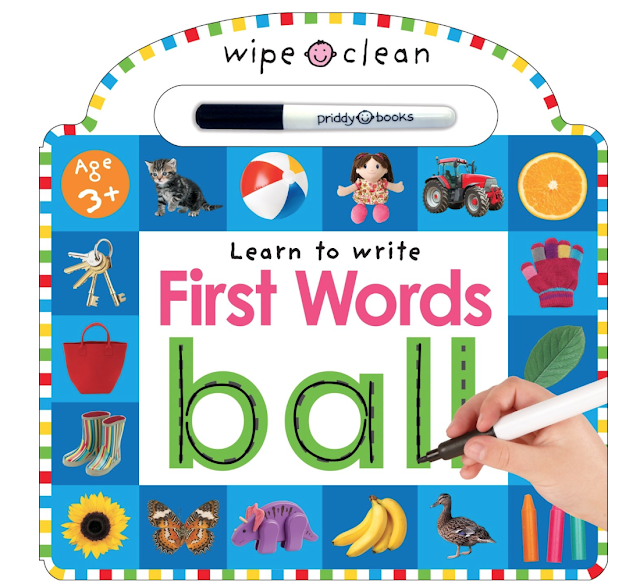 These are also great tools if you would just like to practice working on those handwriting and fine motor skills. A few months ago, our friend Sarah started working for Usborne, a great education based children's book company. She introduced me to the Wipe-Clean series, which in more ways than one has been a great helper. I ordered the Ready for Writing, Pen Control, and Mazes books. 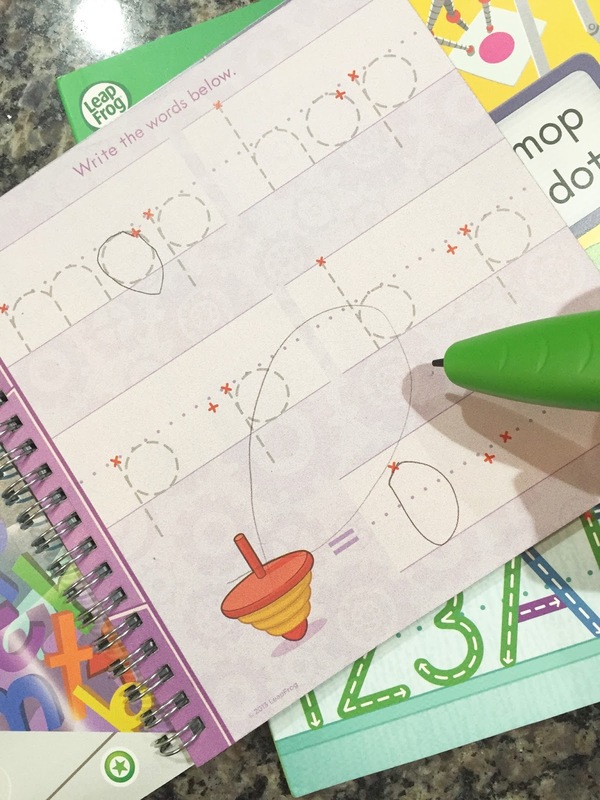 Each came with its own dry erase pen, and page is bright, colorful, and full of great prompts to get children to write and play games. I usually hand these to Cute in the afternoons after he has had some down time to play with, and he loves them. He never thinks of it as "work" because how entertaining each page is to him. He loves the challenge of being able to complete the mazes, create a picture, or even play matching games. They have been a great helper and one that he has enjoyed doing as well! There are several more in the series, and I plan on grabbing a new one or two to entertain Cute in the car ride for our beach trip and to be able to enjoy something new over the summer to keep up the encouragement. Some time after Sarah introduced me to the Usborne Wipe-Clean series, and saw that it was something that was working as practice for Cute, I found this book. The Quack-a-doodle-moo! book is slightly more elaborate than the Usborne ones, but it has a ton of pages, some seriously fun games, and even comes with a variety of reusable stickers. Cute loves the Quack-a-doodle-moo! book, and even Little Cute thinks it is funny when he is creating silly sentences or mixing up the different animal parts and noises. I've heard great things about the Priddy Wipe-Clean series as well, but haven't picked one up yet. They have options for toddlers up to elementary school age, which would be great to go ahead and let L.C. try as well. 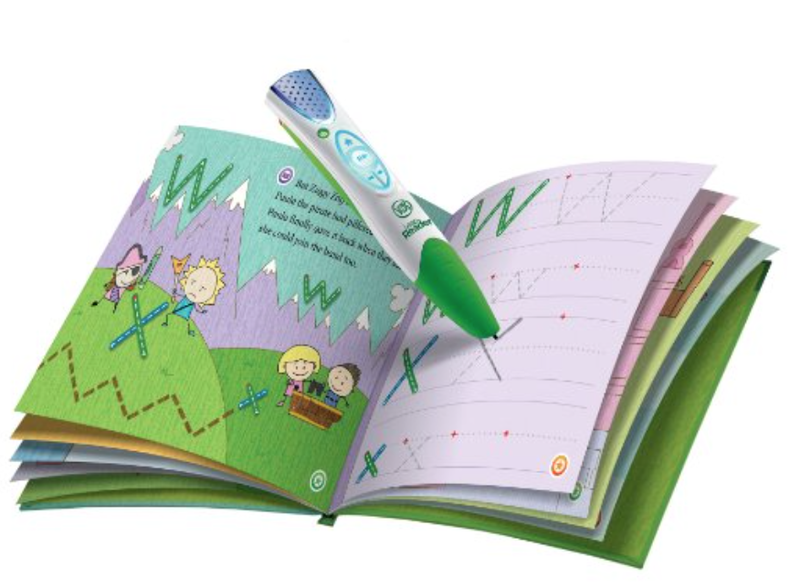 It is definitely on my to-do list seeing how useful the dry erase books really have become. And the best thing about the dry erase books is you can use them over and over and over!! I think I was a little shocked when both his current school and his future school suggested a few apps that would help him with his handwriting skills. I mean, we already live in such an electronic based world, how the heck does an app help encourage his need to practice his handwriting. After speaking with my mom, who has worked in the school system for over 20 years, including doing several stints in Special Education, she confirmed and suggested a few of her own. Go figure. I learned that these apps in most schools across our state now, and that they are great for letter f and sound recognition. When my sister, Aunt K, learned of Cute's needs she found him a few helpful toys to encourage practice as well. 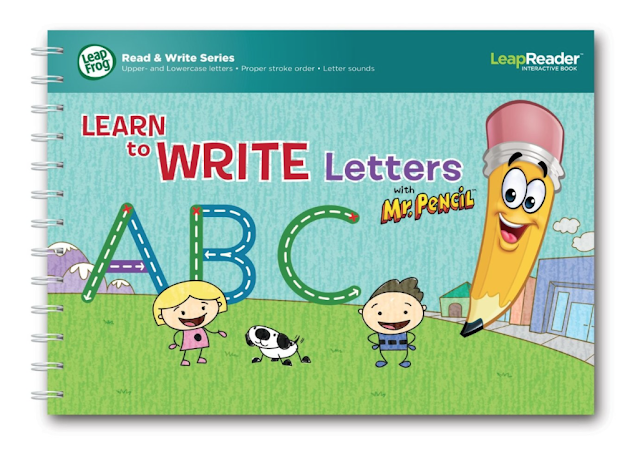 By far Cute's favorite is the LeapFrog Leap Reader and Writing System. 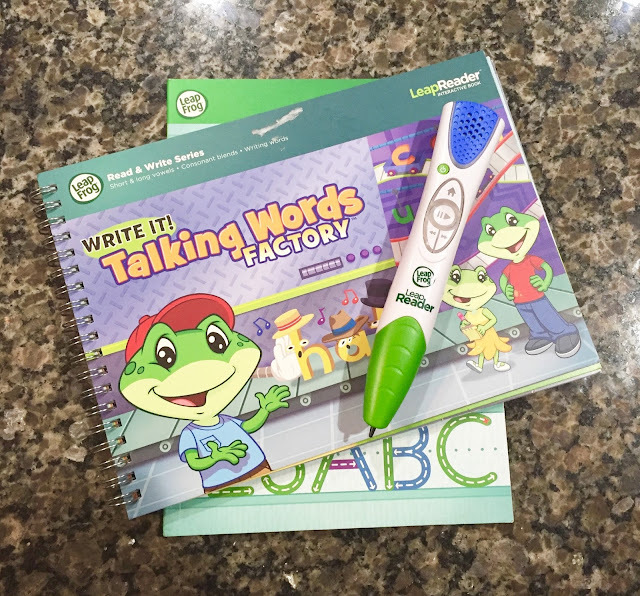 It came with a sampler book and she purchased the Talking Words Factory book. Set up is super easy, just a simple connection to your computer and a quick scan of the book, and everything is customized and ready to go for you. I love that it is has dual usability, and that both reading and writing are addressed with it. It's small and compact enough that we can fit it in our bag pretty easily, and so far battery life seems to be great! Cute loves to practice with it, and the fact that it gives him feedback is super helpful to me as well. For example, when he doesn't correctly complete a letter it asks him to re-try a few times before moving on. A super nice computer girl's voice asking him sometimes is waaaaay better than mommy asking him apparently. In addition to the ones Aunt K gave him, we have the LeapReader Deluxe Learn to Write Letters book, as well as the Deluxe Learn to Write Numbers, and both combine both letter practice and simple games to encourage practice. When it comes to just simple old school writing we were given a few little tools to try. It's one of the few things that if we find that it works, he is actually allowed to take to school with him to use to write write with. This is great because then what we are doing at home will be familiar to him at school, and hopefully not create stress at school when it comes to this task. We started with a half pencil and these have worked wonders for him when it comes to control and grip. 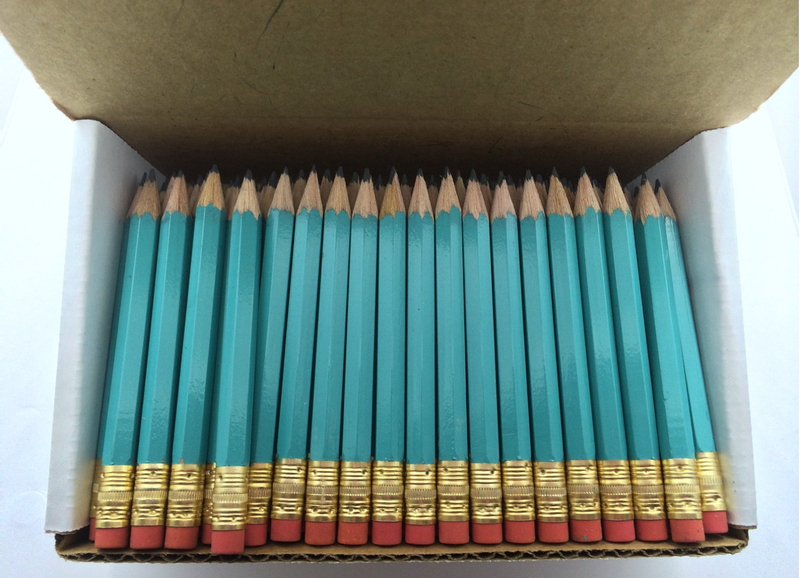 Think of the golf pencil you get on a course or at putt-putt places. These smaller pencils aren't always what he wants to write with, but using them has definitely helped him improve his writing skills. A pencil grip was a second thing tool that was suggested to us. Cute thinks this tool is more of a toy and fun than something that helps him, so it's nice to know that it doesn't bother him at all. I haven't let him bring them to his pre-k class though because we were warned that all the kids will want one once they see it. 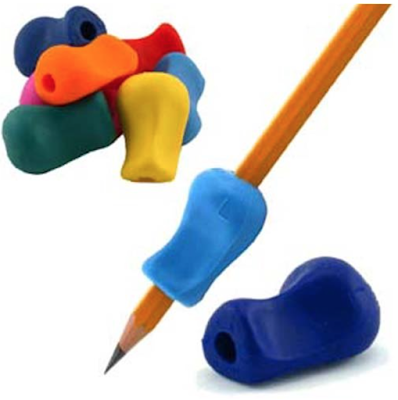 They have some super cute pencil grip options out there, and I thought it might make a great end of the year school goody too to pass out to his classmates - if anything just to think is neat and to familiarize them with it in case a student they are with next year has them too. And there you have it - our trusty handwriting helpers. I know we will be working on this through the summer in preparation for next year, and I will try to add anything that I find to be beneficial. Hopefully this was helpful to some of you, and please feel free to share any tips or tricks that you have found helpful when it comes to getting your little ones practice those handwriting skills - I would love to hear! Thank you for providing lots of very good, helpful information and tools! My grandchildren are at this age and I love providing educational, fun things for them to do.